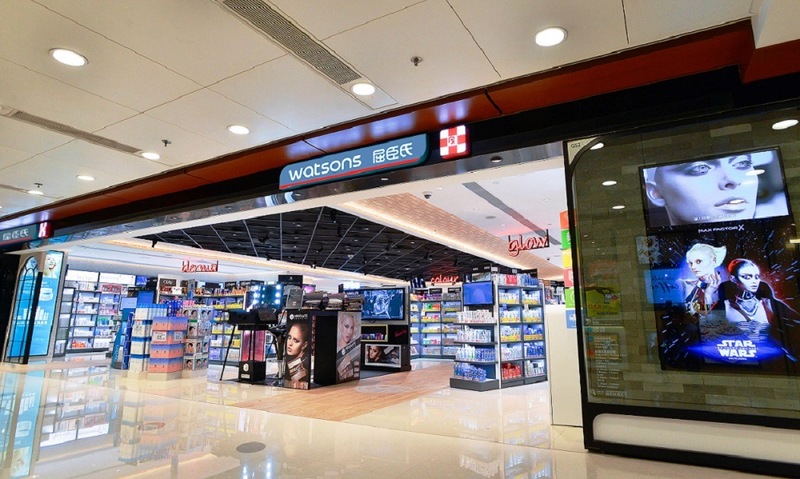 A.S. Watson Group (ASW) is the world’s largest international health and beauty retailer with 12 brands including Watsons, Superdrug and Savers. With over 14,400 stores in 24 markets, they serve over 4 billion customers every year. Group Chief Operating Officer Ms. Malina Ngai shares that A.S. Watson deployed Tableau to perform complex analysis across multiple retail categories, and strengthen collaboration between departments through sharing data. They also aim to gain competitive advantage in the fast-moving retail industry with live data and insights, to drive timely business decisions. Retail is a fast-moving industry that needs to make precise and timely business decisions to provide high-quality customer service. Tableau accelerated our business decision-making process. Tableau’s interactive capabilities made it easy for A.S. Watson’s business users to filter and drill down deeper in a sea of data, extracting critical information to answer questions. In particular, Tableau Server helped them streamline their insights generation process. The data extract refresh function allowed users to view the latest insights instantly on the Server, when previously they would have to go through more time-consuming methods like email distribution to share and discuss insights. A.S. Watson is only at the beginning stage of adopting Tableau, but Malina affirms that they have already seen significant time savings in report generation. With live data mined from automated data extract refresh, they have created a monthly category dashboard visualising category performance, customer behaviour and sales trends. While previously it took a few days just to generate a report for a few selected product categories, they can now complete dashboard reporting for all product categories within a few hours. Across the board, adoption of Tableau in the business has improved the efficiency of business processes by extracting live data and insights, and automating time-consuming manual work. As the world’s largest international health and beauty retailer with an umbrella of different brands under it, A.S. Watson’s main business challenge was to deploy a flexible analytical tool that could handle the breadth and depth of their business analysis across various departments. Prior to Tableau, ASW used standard reports that did not allow them to slice and dice data. For example, in product-centric analysis, a category report did not allow users to see the performance of sub-categories – they had to create separate reports instead. Furthermore, these reports were previously created on traditional platforms such as Excel spreadsheets, and users had to plough through full pages of figures to identify relevant insights and patterns, which was difficult and time-consuming. With Tableau’s data visualisation, business users can now obtain relevant business insights by manipulating and interacting with their data. With a single user interface to overlay multiple data sets, Tableau helps A.S. Watson understand their data better and make timely business decisions in a fast-moving industry landscape. With Tableau, we are able to support the breadth and depth of common analysis flows without the need to create huge numbers of reports. Embedding Tableau into A.S. Watson’s internal platform also optimised the use of Tableau dashboards within the business. Within a year, nearly 600 employees have become active users of their Tableau-powered platform, WatsonView. People like the convenience of having business insights visualised clearly on the dashboards without having to run the reports manually and waiting for results. WatsonView has also fostered a data-driven culture centered on collaboration within the business. Users can share links to the dashboards they have created with their managers and teams, and these dashboards tell clear and engaging visual stories of data, easing comprehension across the board. Moving forward, A.S. Watson plans to extend the usage of Tableau to support more retail functions and business units. Their main goal is to gain a competitive edge over other retailers, by integrating internal and external data sources to build new and accessible insights. ASW also hopes to promote a culture of self-service analytics. As Tableau is an easy-to-use software with a shallow learning curve, business users with little or even no technical knowledge would be able to retrieve timely insights from WatsonView, eliminating the need to wait for support from data analysts or the IT department. With effective use of data visualisation, users can identify and highlight areas that require immediate focus, to react more responsively to market situations and competitors’ actions. Data visualisation can help our businesses highlight areas that require immediate focus, so they can react more responsively to market situations and competitors’ actions.